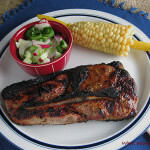 Miso Happy Marinade - What about the food? 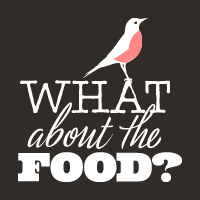 Another weeknight, late coming home and the inspired dishes I was going to prepare have shifted to “not tonight — too ambitious,” as I am left standing in front of the refrigerator, door open and pondering. A day of slogging through the technology swamp earns its just reward and we rediscover the umami of miso, oyster mushrooms, sweet carrot and spinach atop fluffy brown rice. Fresh ingredients bought for one thing, re-purposed. 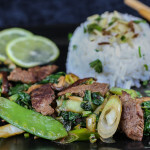 For some, stir fry seems an exotic notion of complexity and imposing process that ends in a frenetic rush to the finish. Not me. This is true comfort food that I break down in steps burned into my muscle memory like a well practiced dance routine. The music on, often Latin guitar or my darling serenading me on the piano or organ we begin. Marinate the meat, turn, reach for a pot, put on the rice, step, step, step. Chop the veggies, tap, tap, scoop. Arms and hands reaching, waving to the beat, setting out the oil, soy sauce and sake at the ready. Whoosh, heat the wok, oil, sizzle, bang, stir, toss. Dinner. Earthy, salty and most known for comforting soup miso takes a turn as a marinade. Oftentimes I just marinate chicken with garlic, soy sauce and a bit of ginger. That is a really nice flavor profile, but I wanted something warmer, more in the same family as the oyster mushrooms and nutty brown rice. I used Aka-shiro miso, a lighter variety that has a shorter fermentation period, less soy and a milder, sweeter favor than the pungent dark red Akamiso. If you are not one to make your daily breakfast miso soup as many Japanese families do, it can still serve your kitchen well as an ingredient in dressings, marinades and soups to add a salty richness and unexpected layer of flavor. A small airtight tub can be stored quite a long time in refrigerator, beckoning your creative mind. For best results find an Asian market or well stocked international section in a large grocery for the tubs in the refrigerator case. They say that miso has all sorts of health benefits and I’ll let the science community sort that out. I just know mesa luven it, so good. Covers 2 boneless, skinless chicken breasts, sliced thin. Whisk together and blend well. Place meat in quart zip lock bag, pour in marinade to cover. 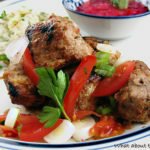 Marinade for at least an hour, or can be refrigerated overnight for more intense flavors. Drain meat well before cooking in the wok or fry pan to avoid hot, flying splatters. 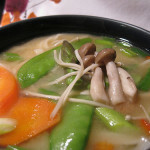 Note: Miso is really high in sodium, 1 tablespoon can have up to 880 mg. So don’t add more salt to your dishes without tasting and proceeding with caution. 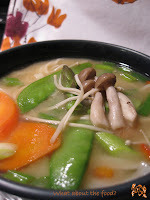 You might also like this Asparagus Mushroom Miso Soup. More information about Miso – a superfood you’ll want to add to your shopping list. This really is perfect! I used to stir fry all the time in college… no more. And miso soup? I love it but make it from packets. But once in a while I add noodles and vegetables. Yours from scratch is what this girl needs in winter. 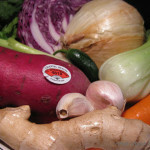 Nothing like the freshness and even in winter we have so many beautiful veggies to choose from. Hope a stir fry finds it’s way to your Nantes table Jamie! Welcome Mary, so very happy you stopped by and gave this little blog a browse. I appreciate your kind comments and look forward to seeing you here again, Ms. Perfect Bite! 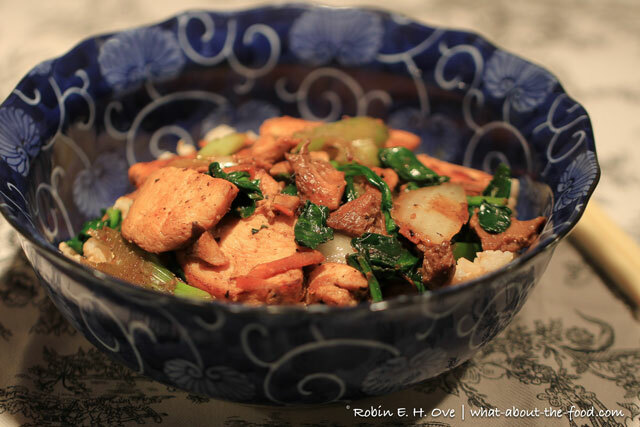 Graceful, delish…this post has ME so happy, Robin! Words can be so fun dear friend. I love you get my silly humor.